Lease financing available on new 2019 BMW X7 xDrive40i models from participating BMW Centers through BMW Financial Services through April 30, 2019, to eligible, qualified customers with excellent credit history who meet BMW Financial Services’ credit requirements. Monthly lease payments of $959 per month for 36 months is based on an adjusted capitalized cost of $73,976 (MSRP of $78,595, including destination and handling fee of $995, less $4,500 customer down, $0 security deposit and suggested dealer contribution of $119). Actual MSRP may vary. Dealer contribution may vary and could affect your actual lease payment. Cash due at signing includes $4,500 down payment, $959 first month’s payment, $925 acquisition fee and $0 security deposit. Lessee responsible for insurance during the lease term, excess wear and tear as defined in the lease contract, $0.30/mile over 22,500 miles and a disposition fee of $350 at lease end. Not all customers will qualify for security deposit waiver. Tax, title, license, registration and dealer fees are additional fees due at signing. Advertised payment does not include applicable taxes. Purchase option at lease end, excluding tax, title and government fees, is $47,157. Offer valid through April 30, 2019 and may be combined with other offers unless otherwise stated. Models pictured may be shown with metallic paint and/or additional accessories. BACK-UP CAMERA, ALL WHEEL DRIVE, HEATED FRONT SEATS, NAVIGATION, LANE DEPARTURE WARNING, BLUETOOTH, MOONROOF, REAR PARKING AID, MP3 Player, BLIND SPOT MONITORING, CHILD LOCKS, 3RD ROW SEAT, KEYLESS ENTRY, 25 MPG Highway, SAT RADIO, TURBOCHARGED, POWER LIFTGATE, ALLOY WHEELS. BACK-UP CAMERA, ALL WHEEL DRIVE, LEATHER, HEATED FRONT SEATS, NAVIGATION, LANE DEPARTURE WARNING, BLUETOOTH, MOONROOF, MP3 Player, BLIND SPOT MONITORING, CHILD LOCKS, 3RD ROW SEAT, KEYLESS ENTRY, SAT RADIO, TURBOCHARGED, POWER LIFTGATE, ALLOY WHEELS. The All New 2019 BMW X7 is finally here at BMW of Brooklyn. The truly one of a kind vehicle is loaded with the most advanced technology that BMW has to offer. Seeing is believing when you step into the largest SUV that BMW has ever created and with limited time BMW X7 lease offers at BMW of Brooklyn you’ll want to stop in for a test drive as soon as you possibly can. Give our Client Advisors a call to learn more about the vehicle of your dreams. Regardless of whether you reside in Brooklyn, Queens, Staten Island, Long Island or anywhere near our New York City BMW dealership, we’re sure you’ll find it worth the trip to see the new 2019 BMW X7 lineup now available at BMW of Brooklyn. When BMW built the first X7 they did not create just another BMW SUV. The all-new 2019 BMW X7 is yours to design with luxury at the starting point. The culmination of comfort, luxury, and powerful living is embodied in the First-Ever BMW X7 – the biggest BMW ever built. There’s plenty of room for all in this spacious SUV. Enjoy seating for seven with second row bench seats as standard or opt for the optional six-seater configuration with all-electric Captain’s Chairs. The comfort of the new BMW X7 extends beyond the cabin. Standard two-axle air suspension provides diving comfort, and adjustable height allow for easier entry and loading. There’s no such thing as second-class seats in the new X7, the standard heated front seats can be made even more comfortable with available Ventilated and Massage options. Passengers can also enjoy available heated rear seats. A beautiful Panoramic Glass Roof creates an open, spacious feeling and a dramatic effect when illuminated by the color changing splendor of the optional Panoramic Sky Lounge LED Roof. The new BMW X7 also has best in class technology with advanced drive assistance technology, like Active Protection, Active Driving Assistant Professional, Active Blind Spot Detection and more. And all of this can be control with Ultra-Modern Controls. 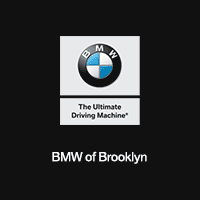 Whether you are looking for a BMW X7 Lease Offer or prefer to finance be sure to visit BMW of Brooklyn to see our selection of BMW X7 vehicles for sale. Regardless of whether you reside in Brooklyn, Queens, Staten Island, or Long Island, the best BMW X7 Lease Offers are always available at BMW of Brooklyn, your New York City BMW dealer.